Fit for Booth? Post profiles here! Posted in main thread without realizing there is thread already. Apologies as this is my first post here. Work Experience: 9 years in Tech Consulting in USA with experience in roles that wears many hats including project leadership role focusing on on-time deliverable and team management. Have experience in RFPs and Pricing for a project. Have worked with Deloitte and PwC prior to joining a boutique consulting firm. Concentrated industry is Consumer Markets/ Consumer Packaged Goods. Traveled a lot within USA for the last 9 years and gained experience in different culture and food and other interesting aspects. Planning to do an MBA to propel my career into more product strategic role and then entering the entrepreneurship side focusing on business driven solutions in the industry. Wanting to know whether my profile will make me competitive for the Booth Scholars deferred admissions program. Recommendation letters from supervisor at each internship. Expecting the rec's to be personal and quite strong. Glad you found the thread here. Sounds like you've had very strong consulting experience and exposure. I like that you've lived in the US and traveled a lot too, as that tells me you're likely adaptable and will be more marketable to potential employers in the US. I think there are two main challenges for you. One, you have a strong technical background, and an advanced degree already, so your reasons for needing an MBA on top of that, need to be super clear and well thought out. Two, you have more years of work experience than most MBA applicants. This is not a dealbreaker alone, but again, you need to present well thought out goals and reasons for doing your MBA now. You could look at part-time or Executive MBA options (Booth does offer both in addition to the two year full time option), but I'm not sure if those fit with what you're looking for. Hope that helps, and feel free to circle back once you have your GMAT score, as that can make a big difference! Overall I think your profile is pretty competitive for their deferred program. Excellent GPA from a great business program at Ross. Work experience and leadership sound very competitive too. Only challenge is your GMAT, which is solid, but below average for Booth's class. I don't think that alone is a reason not to apply, just warning you that it could be an issue and if you end up waiting and applying later, I would plan to retake it. Check out some of the resources via Booth's Rustandy Center, as I believe they just introduced an Impact Investing course. My sense is that it's a popular choice of post-MBA career, but there still aren't a ton of jobs in it, so make sure you're showing why that's a good fit for you, and how your prior experience or even personal interests translates to impact investing. 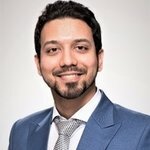 This would be the first time I appear in GMAT, I am aiming for an admit in a reputed institution. Booth being finance oriented is my preferred choice. Kindly evaluate my profile. Work experience: 3 and half years in retail banking handling operational areas and government and tax related areas serving in India's largest govt owned bank. Post MBA goal: Become an investment banker with a preference for a job in AMC or investment advisory. Hi! With a few of my MBA friends graduating from Chicago Booth we are running a Webinar to help anyone thinking of applying to an MBA program abroad. Ask us any questions you have about the school selection or application process. Join us live this Thursday 4/4 9 am CST (7:30pm IST). Register with your email and we'll send a calendar invite with all the details.